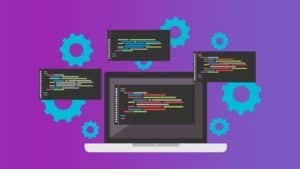 Learn all the coding fundamentals in Python! Work through nearly 200 exercises and quizzes! Work with all the Python data structures: lists, dictionaries, sets, tuples, and more! A computer! We’ve got you covered whether you have a Mac or a PC. Prepare to write thousands of lines of python exercises! Updated in November 2018 to include SQL + Python! Welcome to the Modern Python 3 Bootcamp! I’ve launched my fair share of Udemy courses, but I’ve never done anything quite this crazy. This course is a unique experience on Udemy. There are dozens of existing Python courses you can choose from, but this course is the only one that has nearly 200 interactive challenges you can complete right here in your browser. I didn’t just tack on a couple of exercises at the end; this course is fully built around the coding exercises. This course is all about getting you writing code ASAP, rather than sitting back watching a bunch of videos. In development, I referred to this course as a hybrid between a typical Udemy course and an interactive Codecademy-style course. You get over 25 hours of in-depth videos and my dumb jokes along with meticulously created exercises and quizzes to test your knowledge as you go. Many of the older Python courses still focus on Python 2. This course is all about writing the most modern, up-to-date Python code, so Python 3 was the obvious choice. The course covers all the latest additions and changes to the Python language. The course also places a large emphasis on thinking like a Python developer, and writing code the “Pythonic” way. As for the curriculum, This course teaches all the key topics covered by other Python courses, but also covers more advanced topics like web scraping, crawling, and testing, just to name a few. Please feel free to explore the curriculum and watch some of the free preview videos! Python is consistently ranked in either first or second place as the most in-demand programming languages across the job market. It has applications in data science, machine learning, web development, self-driving cars, automation, and many many other disciplines. There has never been a better time to learn it! I’m spent years teaching people to program at in-person bootcamps in the San Francisco Bay Area. In recent years, I’ve started bringing my methods from the classroom to the online world. In my first year teaching online, I was selected as the Best Newcomer Instructor in the Udemy Instructor Awards 2015. I’m passionate about making the best possible online learning experiences that mirror my in-person courses. If you want to take ONE COURSE to master Python take this course. Anyone who wants to get tons of practice with the interactive exercises. Thanks brother, your work is a blessing to the underprivileged. Why there is only solution ? there isn’t any exercise question . Thanks a lot. I love this site. Where can I get the exercise questions? Last part called “Massive Section of Challenges” is incomplete, it has only one challenge. Please, can you update this course? Hey guys! Would mean a lot if y’all seeded. Thanks anyway! any solution to open chrome pages for exercises?